While most of the PIL is currently in decline, the Roosevelt Roughriders are thriving under the leadership of Coach Christian Swain and his staff. They went (7-4) last season for the second year in a row, and bring back 4 kids who already hold D1 offers. Quarterback Kimane Domena (6-2 185 Jr.) is quickly becoming one of the most recruited dual threat QB’s in the country and he will only be a junior. 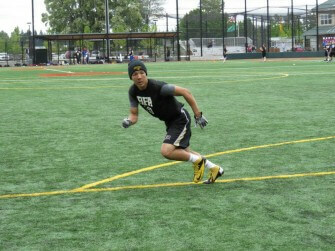 He has been offered by BYU, Colorado St, and Portland St and has a host of different D1’s on the bubble. Domena threw for 1457 yards and 19 Tds/6 Int’s, while rushing for 742 yards and 16 Tds as a sophomore. The biggest critique comes in the way of the competition that the Roughriders will face in conference, but there is little they can do about that. The goal will be to make a clean sweep of the 5a PIL and then make a deep run in the playoffs. Roosevelt will come back ranked our #5 team to start the season, but there is a lot of work to do. They will have two of the better backs in the state in Damalia Spires (5-11 200 Sr. RB) and Billy Nelson (6-0 170 Jr. RB/CB) returning and ready to go. 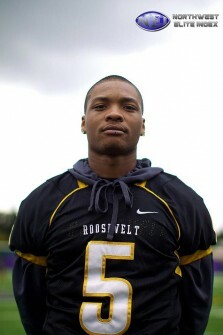 Nelson was offered by PSU as a sophomore, and ranks as one of the top athletes in the state for the 2015 class. He went for 1200 All purpose yards and 8 Tds in 2012, while Spires has upped his stock a great deal over the off season. Add in one of the fastest rising recruits in the Pacific Northwest in James Schell-Buchanan (5-11 190 Sr. CB/ATH) and you have an extremely dangerous perimeter. James jumped all the way to #4 on our latest updated rankings board, as he is a lock down corner and a kid we can’t say enough good things about. The X factor could be on the D-line where the Roughriders feature two of the state’s top 5 D-lineman, both of whom hold multiple D1 offers. Sione Tauemoe’anga (6-2 295 Sr.) and Semise Kofe (6-1 275 Sr.) are game changers. Sione went off last season accounting for 108 total tackles, with a state leading 13.5 sacks, and an incredible 34.5 tackles for loss. Semise was injured for most of the year, but was unstoppable the first three games of the season with 23 total tackles, 5 sacks, and 7 tackles for loss. 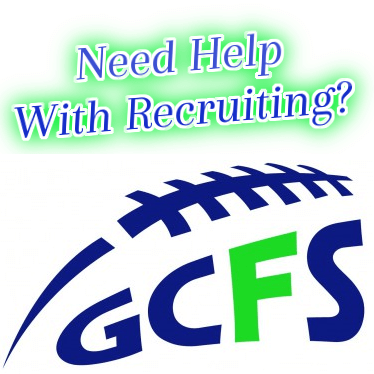 With all of the high profile athletes on the Roughriders roster some kids can get lost in the shuffle. Other big time contributors include Daniel Burns (6-0 230 Sr. OL/DL ), RJ Bryant (6-1 195 Jr. DL) , Leroy Brandon (6-0 270 Sr. DL), and Hunter Welch (6-0 265 Jr. OL/DL). All of these kids put up relevant numbers last season and will be potential all league athletes in 2013. We have talked time and time again about the work that’s gone into getting Roosevelt where it is today. Coach Swain took over a program that was (0-9) the year before he arrived, and (0-9) his first season as the head coach. Former All pro Neil Lomax has been a big part of the turnaround dedicating his time to helping the athletes of North Portland both on and off the field. The sacrifices made by individuals such as Swain and Lomax have created an environment of hope and excitement which goes way beyond football. Roosevelt lost to Springfield in the 2nd round of the playoffs in 2012, which is another one of the fastest rising teams state wide. As talented as they are they will need to figure out how to raise the bar when playing elite competition, as most of the teams they play during the regular season don’t present that challenge. All of us are excited for this North Portland school moving forward, and we look forward to following their progress in the coming season. Everyone within the community has participated in the turnaround and it speaks to all that is good about high school football.